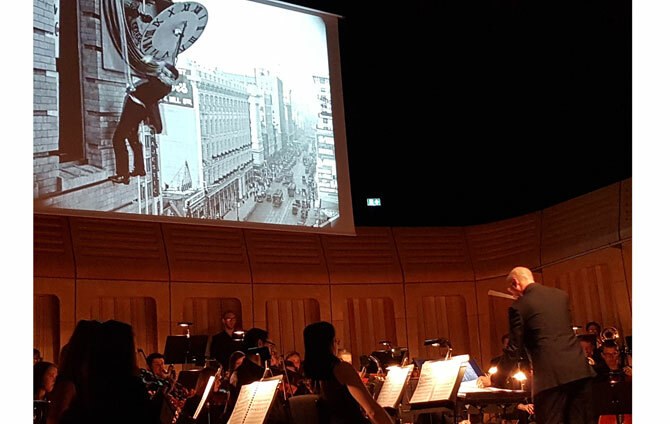 The College’s Concert Orchestra enjoyed a stimulating and unusual challenge on Saturday night; providing the live accompaniment to the screening of one of silent cinema’s greatest movies, Safety Last, in the Dora Stoutzker Hall. Screening a silent film with a live orchestra poses particular challenges for a musician. But as Director of Music, Kevin Price, points out it gives the students a great experience of being a studio musician, having to play with complete precision and ensuring they synchronise with the score, as well as reflecting the style of playing at the time – the 1920’s. 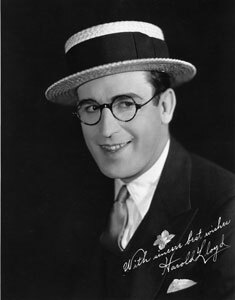 “When we watch a feature film we take it for granted that there’s a live symphony orchestra providing the accompaniment. Having the orchestra there physically reminds the audience of this as an art form, of its historical roots and the way that classical music is evolving. “It was a completely different environment for us and provided an invaluable preparation for our future careers. Suzanne Lloyd, Harold’s granddaughter took part in an exclusive Q&A session onstage before the film was screened.